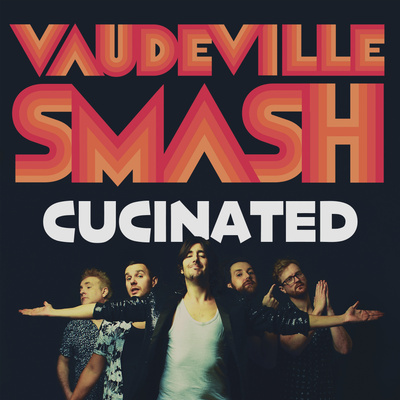 Melbourne’s VAUDEVILLE SMASH return with their roof shattering new single CUCINATED. CUCINATED (koo-chi-na-ted) is a funk-disco anthem for the people! It’s about being an immigrant. It’s about growing up in ADELAIDE. But most importantly, it’s about everyone, from every walk of life, coming together as one and getting CUCINATED! Produced by Nashville’s, Bobby Holland, this is the second single off their third studio album, set for release in late 2019. I’ll be damned if Vaudeville Smash aren’t the most mind-blowingly refreshing live act to emerge from Melbourne since God knows when.” – Beat Magazine. Made up of three brothers and two mates, no other band sounds like ’em. An explosion of funk, flute, sax, synth and groove, the dance floor is packed at a VAUDEVILLE SMASH gig. In case you’re wondering, they took their name from an Italian children’s karaoke machine that was around in the late ’80s. Since their first gig at Fitzroy’s Bar Open, VAUDEVILLE SMASH have carved their own niche, building a formidable following in Australia and around the world. Their international adventures have seen them tour Japan and the Sapporo Jazz Festival on three occasions, play the South by South West conference in Austin, Texas twice, and grace stages in New York, Singapore and Toronto. They will travel to Europe, for the first time, this July for the Imagina Funk Festival in Spain. Vaudeville Smash's catalogue features 2 full length albums (with a 3rd set for release in 2019), 3 EPs and an international viral sensation with their song 'Zinedine Zidane' featuring the late, great Les Murray, which has garnered over 12 million YouTube views and was featured in some of the biggest publications on the planet, including Billboard, ESPN, Eurosport and the BBC.